I have been using Renu Multiplus for years now. Never had a problem with it, would recommend it. Very happy with my lenses. Dont have english language on the bottles themselves, means they were not meant for UK market. But other than that they are exactly what i was looking for. 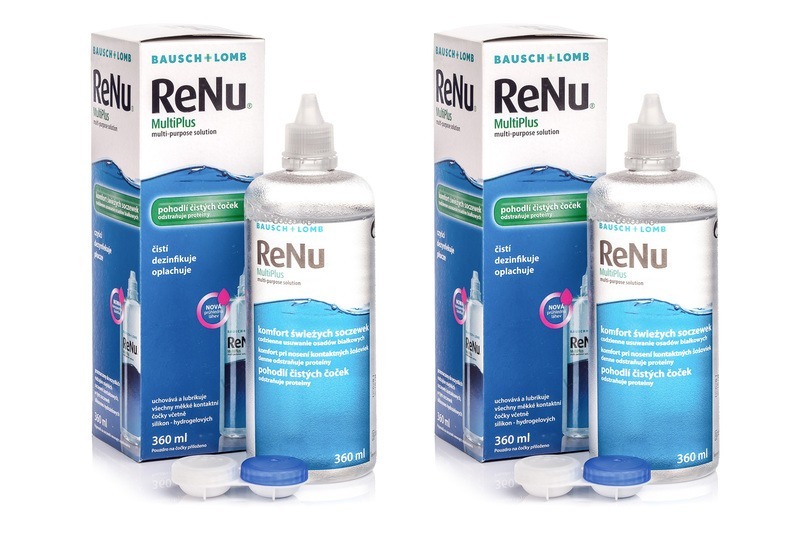 A Renu MultiPlus from Bausch & Lomb is multi-purpose solution designed for the complete care of all types of soft contact lenses. This versatile solution rinses, disinfects and moisturizes lenses and removes resident proteins and lipids contained in tears. In the composition of this solution is boric acid, which compensates disturbed pH on contact lenses. Poloxamine removes the outer remnants of cellular tissues.